Delta’s eTendering portal simplifies procurement. We offer unrivalled customer support and market knowledge. Our e-tendering portal is intuitive and easy to use.  Delta’s eSourcing solution is used and trusted by over 500 UK public sector organisations and by approximately 100,000 active suppliers. Delta offers insightful advice for using the e-tendering portal and consistently supports customers. The fully managed and supported service is based on the core principles of community building, collaboration and transparency for the enablement of supply chains, commissioning, needs analysis and the management of competitive tender exercises. Delta’s e-tendering portal offers the flexibility to create a bespoke procurement package for your organisation. You can choose to use the full end-to-end solution or utilise one or more of the modular applications in line with the size or requirements of your organisation. Delta aims to connect buyers and suppliers promptly and efficiently. It forms the foundation for a range of buyer portals and supply chain development services.